1. Let’s start with basics first. So, what is bot? A bot is an artificial intelligence software designed to perform a series of tasks on its own and without the help of a human being. Tasks a bot can do can vary from things such as making a reservation at a restaurant, marking a date on the calendar or collecting and displaying information to its users, and informing the user about the weather, etc. The most frequent model is that of a chatbot. Chatbots are capable of simulating a conversation with a person and therefore are increasingly present in messaging applications. Chatbots are versatile, therefore they’re able to adapt and help solve different business pains. A chatbot is a software system, which can interact or “chat” with a human user in natural language (such as English, or whatever other language the chatbot has been built on). Chatbots can help inform a user, or help them with fulfilling a task. There’s annual contest: the Loebner Prize, where rival chatbots have been assessed in terms of ability to fool a judge in a restricted chat session. The format of the competition is based on the Turing test, named after the famous British mathematician and computer pioneer Alan Turing who proposed the test in a 1950 paper entitled Computing Machinery and Intelligence. So as you can see chatbots are not something new, if you’re interested in learning more about the history of Chatbots you can check-out the piece: Chatbots: The Very First & The Latest. 2. How do Chatbots actually work? However, for a chatbot to be able to do more than simply answer questions it has to be connected to an Artificial Intelligence (AI). AI is the technology that allows the bot to learn from the interactions it has with the end users. Behind this learnings there are analytics platforms, and integrations with APIs, among other things, that feed the AI ​​and provide resources so that that the chatbot is able to provide the user with correct answers. 3. Does it take great engineering to develop a Chatbot? You do not have to be an AI or engineering expert to build a chatbot. The secret is to be clear about what is going to be created and what kind of problems will be solved. Once the chatbots function is clear, the development is not more complicated than that of a simple web app. Nevertheless, in case your expectations for the chatbot are high, it is convenient to leave it’s development on the hands of experts, such as companies that offer Artificial Intelligence solutions. Even then, the process can be very simple if you make sure to leave the process in the right hands. 4. What can Chatbots actually do? 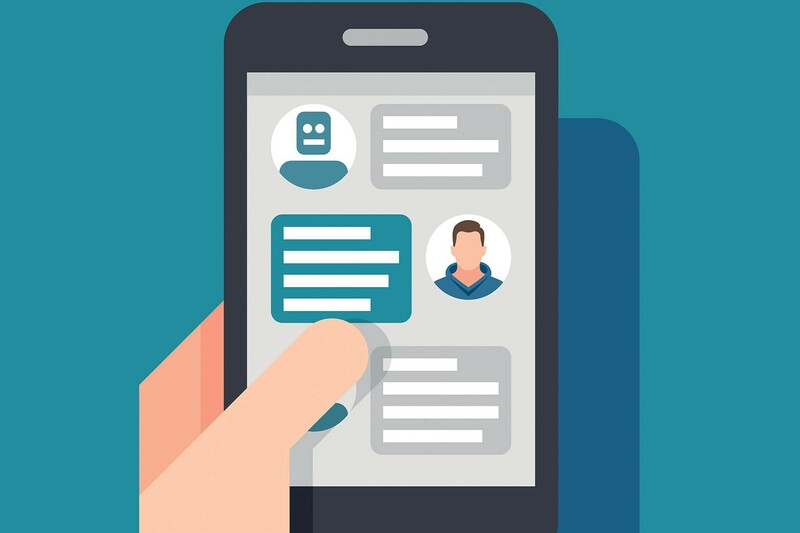 Businesses use chatbots for a variety of cases, such as customer service. Simply put, an artificial intelligence service can be used to answer simple questions, help users book services, get more information about a specific topic, buy a product, etc. Having a chatbot help expedite this types of tasks, allows for human agents to focus on more relevant problems. At the same time a chatbot allows the company to have a 24/7 service to attend to their customers needs. Data is the commodity that powers the digital economy these days. However, it is necessary to have the necessary resources to transform them into something of value. Ideally companies will have cognitive solutions in place that learn automatically from all the data they collect. What makes artificial intelligence systems so powerful is precisely the fact that they can learn. That allows them to adapt when market behaviour changes, as well as continuously improve performance as more data comes in. Artificial intelligence is rapidly automating routine and mechanical cognitive processes. Leaving more time for innovation. The use of intelligent algorithms, for example, can now automate the process of collecting data from various reports and perform an analysis to determine the profitability of a particular business path. It is estimated that 80% of the digital data is not structured. Organizing and tracking these data has the potential of leading to a better understanding of the users and making predictions based on tendencies. If new questions arise or you want to learn more about this exciting technology do not hesitate to contact me or send us word at hey@botsupply.ai. For BotSupply's first B'day we commemorate a year of grand achievements by reflecting on what is like to be a member of team BotSupply.